I’ve read a lot of genealogy books. I’m not bragging or anything, but I work in a library, so it makes sense that I’m looking through/checking out/reading genealogy books all the time. The results are mixed. Are they all stunning works of research? No. A dry read? Sometimes. Ok. Most of the time. Useful? Yes, most of them are useful. Completely and utterly awesome? Once in awhile. Which is why I was really happy to read Crash Course in Genealogy by Dave Dowell. I met him at a genealogy round table a few weeks ago, and he let me take a look at his book. Awesome. I wish I would have had a copy when I started doing research. But I was able to read it and literally fall in love with genealogical records all over again, and that’s what made the book even better. 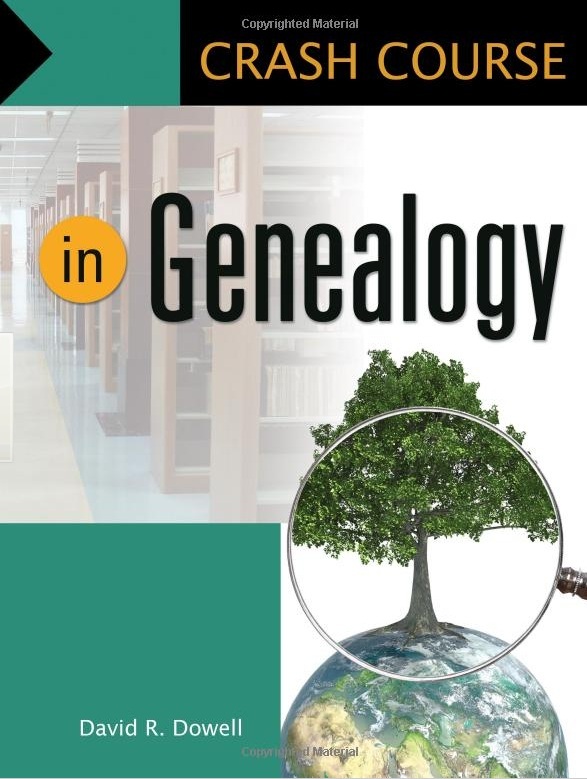 Originally intended as a basic genealogy training course for library staff, this book is a great introduction to genealogy subjects, resources, and research methodology. This book offers newbies a chance to begin their search without the daunting fear factor, but gives intermediate researchers a new way to look at their research. Dave’s breakdown of information into graphics, case studies, and additional resources is truly top-notch. His graphs and timelines really gave me a lot of insight into some of my own methodology. Included in this book are clear reproductions of census forms, pedigree sheets, Haplogroup migrations, and an illustrated example of a Boolean search. I could wax poetic, but his breakdown of the 1940 census was one of the best I’ve read. This is a great book for your library, historical society, genealogy society or for a new genealogist! You can check out a copy of Crash Course in Genealogy from your local library or order it online at Amazon.com. Comment/Question of the Day: What genealogy book do you run back to for inspiration or help? Leave your interesting and creative responses in the comment box.